Core Sisters were responsible for facilitating the growth of the collective, including setting up venting sessions, creating events, and reaching out to the community and other organizations that will helped us continue our mission. The core was open to anyone who has time and energy to give. 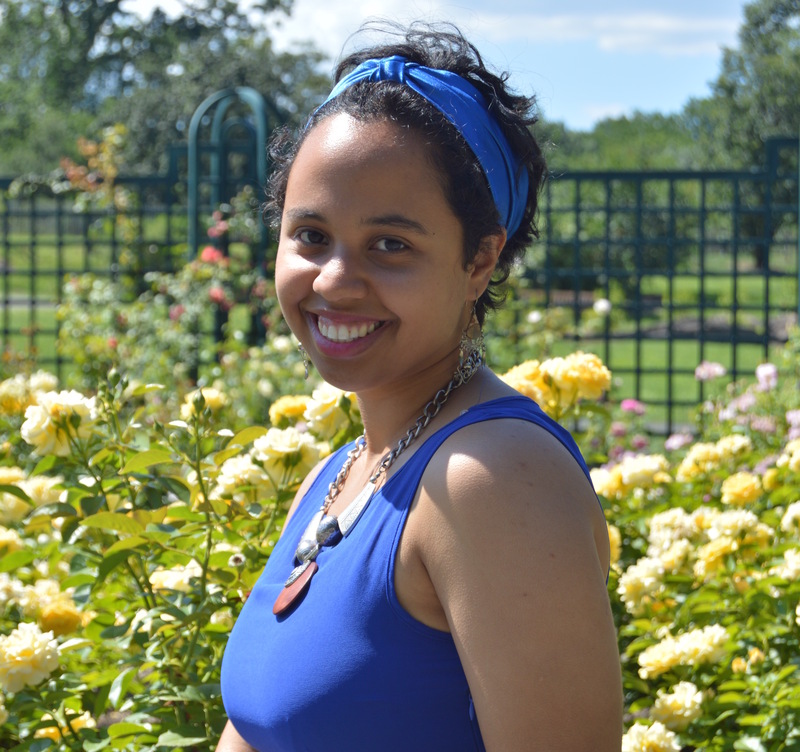 Alyssa Pimentel, born and raised in the Bronx, New York, is currently a third year student at Hampshire College studying the psychological impacts of racial oppression and how to heal from it through body movement. However, Alyssa is interested in various ways to heal that has been used by our ancestors including but not limited to herbs, folk medicine, movement, vibrational medicine, crystals, food etc. She hopes to deepen her knowledge on healing. In her free time she likes to dive into astrology, numerology and other languages of the universe. Alyssa began working with the Sister Circle Collective in the summer of 2015. She hopes to continue and expand on building spaces that allow oppressed people to heal from the violence of white supremacy. Glenda Ullauri was born in Ecuador but quickly uprooted to move to the United States. Her experience living in an Ecuadorian household in a Westchester community of predominantly white upper middle class people pushed her to constantly question her surroundings and the state of her family and family likes hers throughout the country. She found that food and talking about food was a way to bring different voices to the same table and went on to study anthropology, researching indigenous agricultural technologies and food sovereignty movements in Latin America. However, Glenda decided to change her practice to answer many of the issues that were happening around her, right here in NYC. Glenda is exploring food justice as a platform to address and organize around anti-oppression struggles. She is interested in youth/adult programming in urban agriculture and food justice and is looking forward to expanding discussions surrounding decolonized diets as a way to rekindle our cultural heritage and connection to farming. She has been selected as a 2014 EcoStation Farm Apprentice, working closely with high school students at the Bushwick Campus Farm in Bushwick, Brooklyn. This farm has been featured as the site for the July Cultivation Circle part of the Sister Circle Collective’s summer circle series. Glenda has also started her new position as project coordinator for The Bodega Project, a youth led mission to demand and increase the availability of better and healthier food options in local bodegas. Though navigating several positions, Glenda strives to have two things in common: unconditional love for our pachamama and compassion for all living things and ancestors. Nataley Renteria is a queer Afro Colombian multi-media artist, educator and healer focusing on the exploration of psyche and self through visual media. Her visual work blends the complexity and unspoken dialogue of identity, spirituality, and illness, a territory she uses to cope, heal, and explore her own self. A spiritual and outspoken bruja, Nataley has developed a deep passion for self care and spiritual work. She aims to share and connect people with the knowledge of plant medicine which has inspired her small business, Earth Mother Medicine. Nataley graduated from The City College of New York with a degree in Socio-cultural Anthropology and Jewish Studies. She works at the Maysles Documentary Center in Central Harlem as an Education Program Associate, where she works extensively supporting all educational programs, specifically with justice-involved youth. Her goal is to support and assist in providing youth with knowledge and resources that will stimulate their healing and personal growth. Veronica Agard is an alchemist, educator and connector at the intersections of Black identity, wellness, representation, and culture. Of Afro-West Indian, African-American and Indigenous descent, Veronica believes the work of the Sister Circle Collective provides a space to understand the kindred histories of people of color and how to rebuild communities. She hopes to learn from sound healing and continue to be consistent with the healing modalities that have claimed her; movement, singing, divination, capoeira, yoga and writing. Veronica is a proud 2014 graduate of The City College of New York with a BA international studies and history. 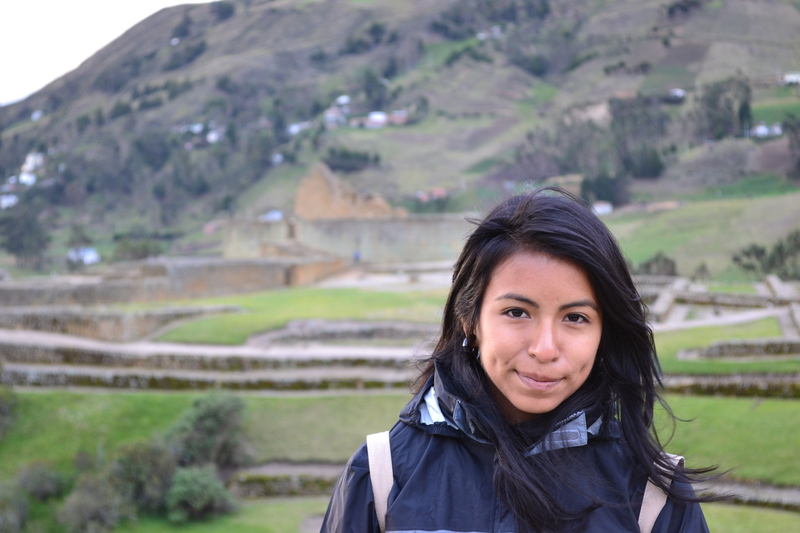 Through archival research at the Centro de Investigaciones Regionales de Mesoamerica (CIRMA), she completed her undergraduate thesis on the complex histories of sexual assault and violence against women in post-conflict Guatemala. Veronica is a firm believer of putting theory in to practice. A writer, her work has been featured in The Grio, Let Your Voice Be Heard, Mic and For Harriet. No matter the role, she offers her expression as a means to amplify the voices of those that walk with her. 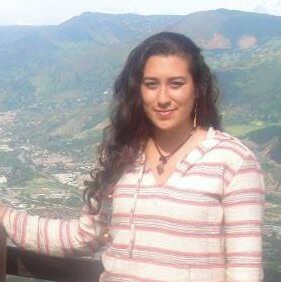 Yexenia is a Colombian American woman who is interested in gender, food and different forms of healing. As a research assistant for a two year project on food change initiatives at an elementary school and through personal experiences, she has come to regard food as a prism through which we can exam many facets of current socio, economic, environmental and political issues. Yexenia is seeking to gain knowledge about traditional forms of healing and medicine as well as food in order decolonize many facets of our present world. Yexenia believes that building sisterhood through circle discussions is one way for these transformations and understandings to arise. In creating a circle a safe space is manifested which leads to fruitful and transformative discussion about ourselves and our society. We affirm and acknowledge those who have supported and been a part of our work over the past years. Dairanys Grullon-Virgil is a Latina from the Dominican Republic. Dairanys graduated with a Bachelor’s of Arts degree in International Studies from the City College of New York. During her undergraduate years, her studies focused on development, culture and women studies. Dairanys believes that circles allow women to develop a network of support and sisterhood in a society that constantly puts women in a position of competing against each other. She has always been an active participant and organizer within the New York City area, including her work with student organizations, such as Latino Honor Society at Borough Manhattan Community College, CUNY Ambassador and AmeriCorps. Currently, Dairanys is pursuing a Masters in Public Administration at Baruch College. Isabel Cristina is a 25 year old woman, born in the Dominican Republic. She graduated with a Bachelor of Arts degree in English from the City College of New York. She is a lover of books and an aspiring writer, who writes stories inspired by the Dominican diaspora. Having emigrated from the Dominican Republic as a young girl, the process of immigration and her memories of the homeland inspire her writing. She is a co-founder and the Executive Administrator of La Galería Magazine. She believes in creating safe spaces where women could come together, organize, share stories, and empower one another. in conversations about race, gender, sexuality, and class. Aside from her role as Core Sister of Sister Circle Collective, Lanai is a Board Member of New York Abortion Access Fund. Merelis Catalina Ortiz is an Afro-indígena Dominican, born and raised in Queens, New York. She is a 2015 graduate from the City College of New York, where she studied food practices of different cultures. Merelis wrote her thesis on Dominicans that immigrated to New York City as adults, focusing on how their food practices may have changed due to immigration. She is currently on the path of decolonizing her body, food, and medicine. Currently learning to make her own self-care products and natural medicine, such as her ViDAPORÚ (natural version to vapor rub) to share with community. Merelis is a food justice community organizer looking for work that organizes towards a just food system – where people of all backgrounds have access to nutritious, affordable, and culturally relevant foods, grown by farmers that are respected and have a living wage. 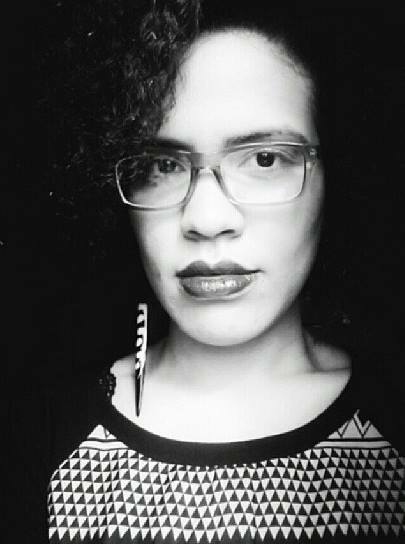 Natalie Peña is a poetic soul of Dominican American decent residing in the Heights. She descends from generations of powerful women who have used their spirits to empower their communities and hopes to honor them through her love or connecting women to each other. She graduated from The City College of New York with a degree International Community Health and Reproductive Justice. Natalie is interested in intergenerational trauma and intergenerational healing through community public health. She dreams comprehensive sexual health education that proposes anti-stigmatization of mental health conditions and includes all genders and sexualities. Natalia Saavedra is a Latina from Colombia. She graduated with a BA in International Studies from the City College of New York (CCNY). Natalia is particularly interested in international relations, development, education, gender, media and communications. Natalia is passionate about fostering connections with others and in joining them in their quest to empower themselves. Currently, Natalia works for a start up that will help you plan and share your travel experiences. Natalia firmly believes that circles are a great way to connect, grow, and support one another.